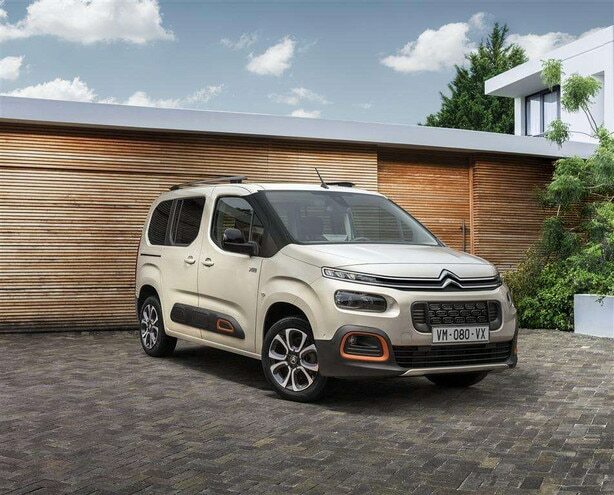 Like C3, New C3 Aircross Compact SUV and New Citroën C4 Cactus Hatch, New Citroën Berlingo Multispace is enhanced by a list of personalisation options, which is core to the brand and favoured by customers. Outside, the new vehicle comes with a range of eight body colours: Soft Sand, Aqua Green, Arctic Steel, Platinum Grey, Onyx Black, Deep Blue, Passion Red and Polar White. The colour signature can be reinforced by touches of colour surrounding the rounded front fog lights and on the Airbump® panels: White Colour Pack (depending on the version) or Orange Colour Pack (linked to the XTR Pack). In pure go-anywhere spirit, the emblematic ‘XTR Pack’ option stands out with the use of the Orange Colour Pack and 17-inch alloy wheels, and a special ‘Wild Green’ interior ambiance. The ‘Wild Green’ ambience is specific to the XTR Pack. Synonymous with adventure, it features Green Cloth and an Orange strip, contrasting with a Green striped pattern.